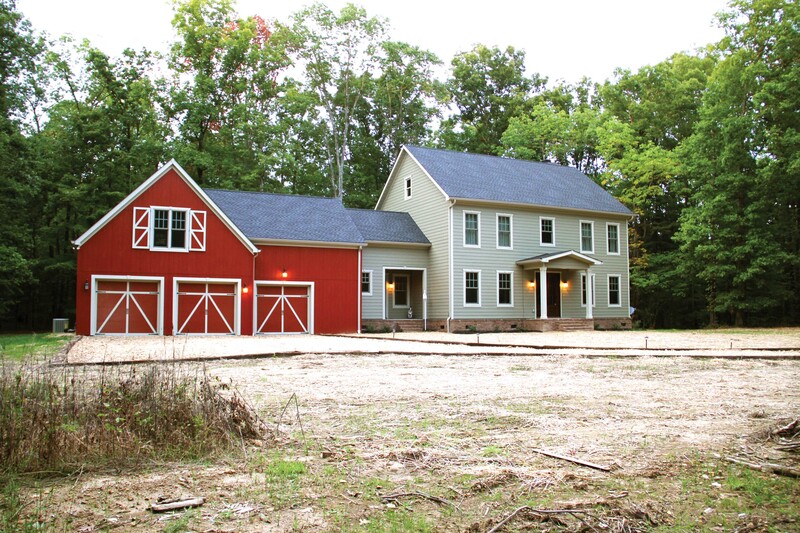 Fundamental to the rainwater catchment system is the home’s 3,000-sq-ft asphalt-shingled roof. The Howalds’ anticipated annual consumption of 43,200 gal was not a high risk in that for each 1,000 sq ft of roof, 620 gal of water can be captured from each inch of rainfall. Their estimated annual harvesting potential is more than 71,000 gal. Moreover, capturing and using the rainwater on site meets current storm water control provisions, a fact that greatly reduced permitting and mitigation costs. 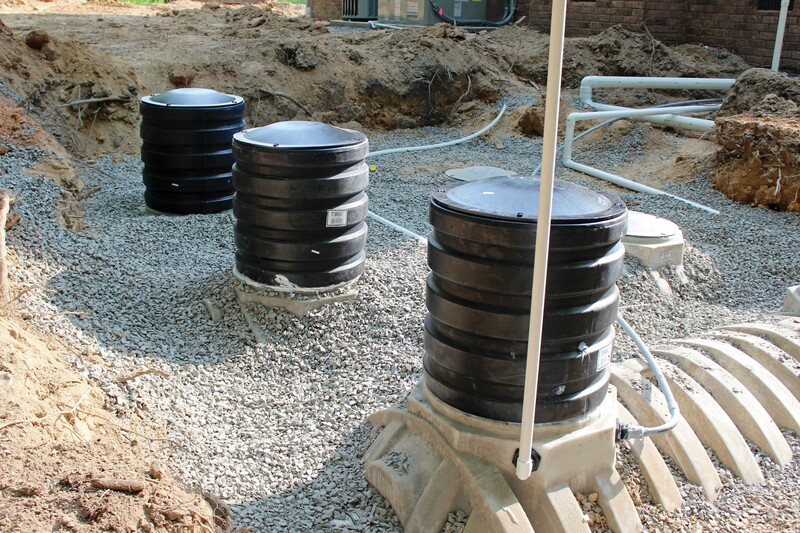 Rainwater Resources installed three 1,700-gal Norwesco polyethylene belowground cisterns for a total of 5,100 gal of storage. 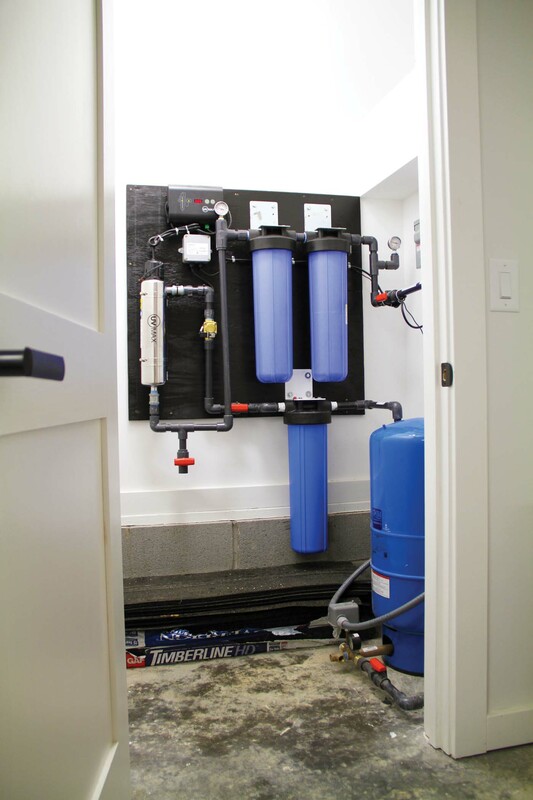 Unaffected by soil acids, these cisterns do not rust or corrode. Based on the Howalds’ average monthly water usage, they have approximately six weeks of reserve capacity in the event of an extended drought. A cistern, however, is just a container, and does not maintain clear, odor- and slime-free water on its own. The Rainwater Resources system, out of respect for the high quality of the water that lands on the Howalds’ roof, eschewed chemical additives in the tank. Instead, it designed a system that continuously maintains a natural biofilm inside the cistern. This biofilm, if undisturbed by turbulence, guarantees continuity of the rainfall’s original chemical-free water quality. Vincent Guarino is vice president - industry relations for Rainwater Resources. Guarino can be reached at [email protected] or 865.544.7873.